Active Health: Triple Formula Combining Reishi, Hericirum Erinaceus and Cordyceps is a great way to help your liver, heart, stamina, lungs, brain and immune system in a simple daily capsule. Our Active Health: triple Formula is a mixture of 3 well known, highly potent medicinal mushroom polysaccharide and beta-glucan extracts, specially blended to provide unique health-boosting properties. Provides support for the immune system, liver, kidney and lungs. It is also anti-microbial, anti-oxidant, anti-viral, anti-hypertension and relaxes the central nervous system. 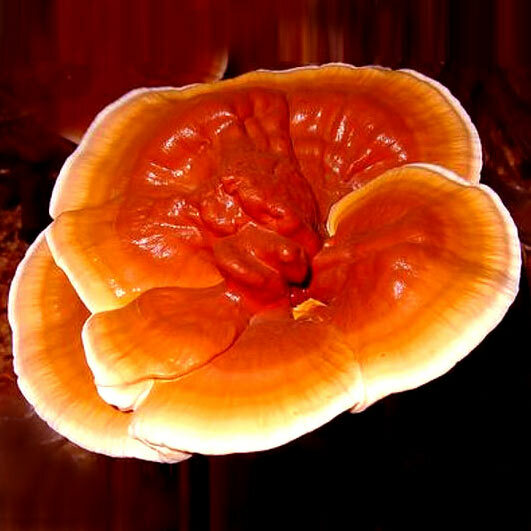 Reishi is the best known and most used medicinal mushroom in the world. Click here for more information about Ganoderma Lucidum (Reishi). Whereas Reishi is great for your internal organs, Hericium Erinaceus works on your mind and nerves - and has been proven to boost NGF (Nerve Growth Factor) in the body. This leads to stimuation of the brain and nerves, whilst also being of potent benefit to gastrointestinal discomfort. Click here for more information about Hericium Eirnaceus (Lions Mane Mushroom). Like Reishi, this medicinal mushroom is great for the liver and kidneys, but moreover has the unique property of increasing cardiovascular function and increasing stamina - without extra exercise. You won't suddenly start jogging marathons, but the benefits to the Chinese Olympic team in 2000 were second to none! Click here for more information about Cordyceps Sinensis (Caterpillar Fungus / Club Head Mushroom).